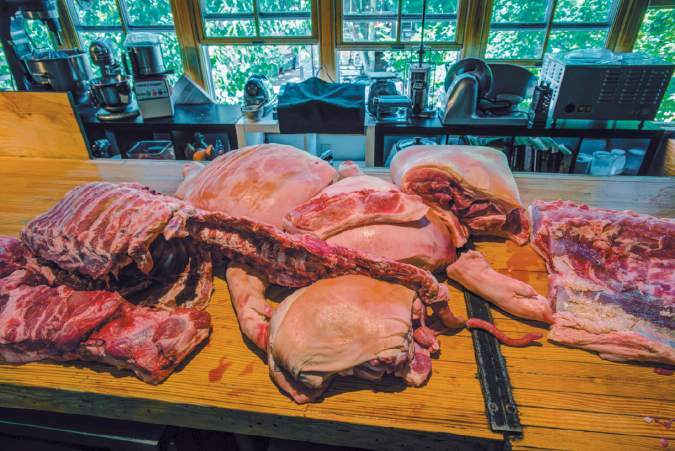 The offal Dinner at Le Petit Cochon on June 23, with chef Derek Ronspies was a success. We teamed up to put on a five-course dinner celebrating the oft-neglected cuts of pork, beef, and lamb. Read more about the diner in the Seattle Weekly, CLICK HERE. ← Link Lab Artisan Meats Kickstarter Campaign – We need your help!